business and IT leaders that it offers levels of security, privacy, and compliance that are equal to or higher than those of their existing on-premise solutions. 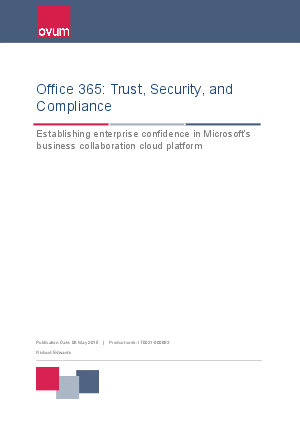 Even though a high percentage of enterprises are adopting cloud storage and compute within their businesses, the adoption of cloud-based content and collaboration products is by no means universal. Concerns relating to governance, risk, and compliance with regard to cloud services are understandable, but it is not unusual to find them overstated.